We are proud to announce our win at the iTalent competition! 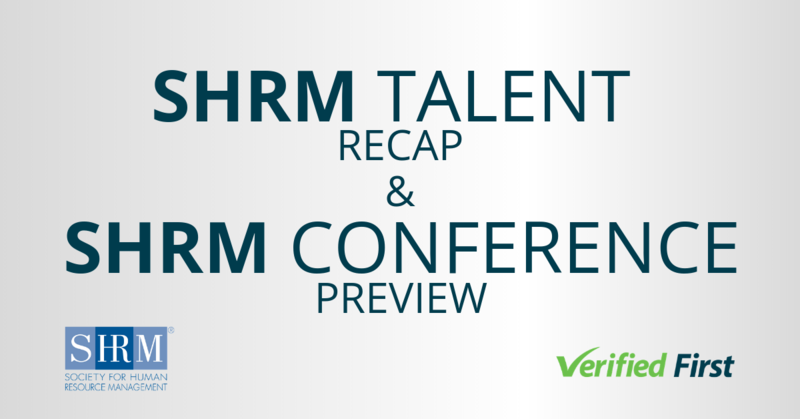 This prestigious competition showcases innovative HR technologies and took place on Tuesday, May 2, 2018 at the 2018 HRO Today Forum in Harbor, Maryland. For the last seven years, the iTalent Competition has spotlighted top technology companies that develop innovative solutions in the HR industry. 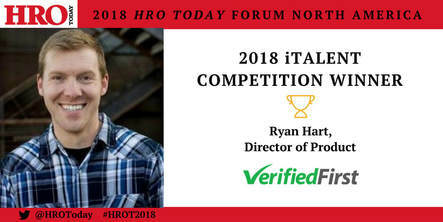 At this year’s event, Ryan Hart, Director of Product at Verified First, was among the finalists that gave presentations to the HRO Today Forum audience and iTalent judges. This year’s judges included Johnny Campbell, CEO of SocialTalent; Elliot Clark, CEO of SharedXpertise & HRO Today; Gerry Crispin, Principal & Co-Founder of CareerXroads; and Bill Filip, Managing Director of Delancey Street Partners. After assessing each pitch, they selected Verified First as the winner. The judges were impressed by Verified First’s unique integration process. To create hiring efficiencies, background screening software integrates with Applicant Tracking Systems (ATS). The industry average is typically 4–6 weeks for full integration, but through a patent-pending process, Verified First accomplishes this in less than an hour. This rapid integration allows clients to maintain a steady talent pipeline without any system downtime. 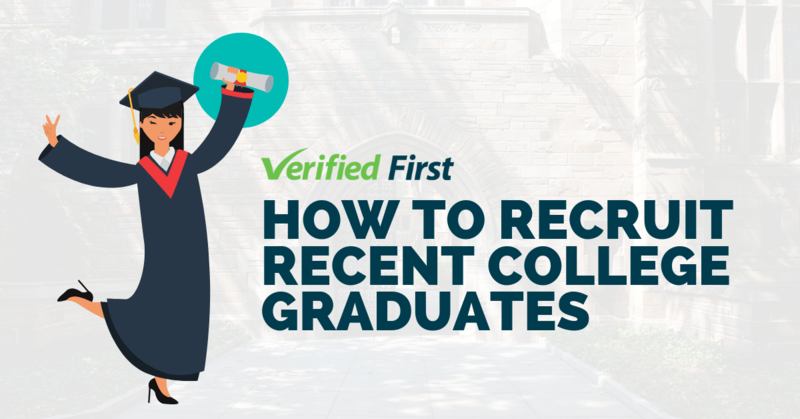 Hart also demonstrated how Verified First creates a stronger candidate experience through branded emails and mobile solutions. 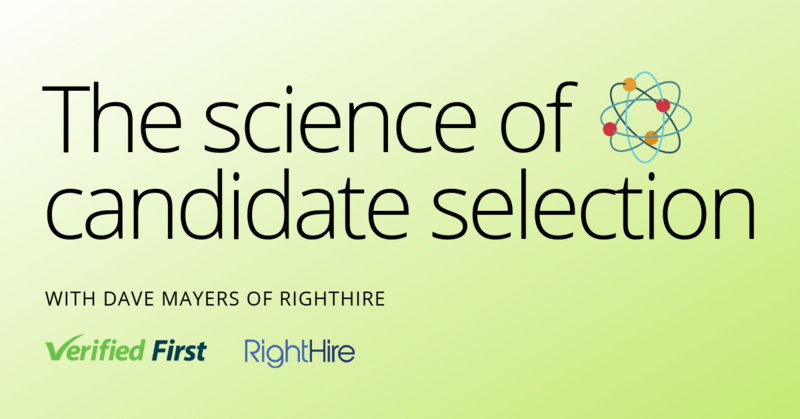 Employers can improve the candidate response rate through sending branded emails that differentiate them. Additionally, employers may text candidates to obtain authorization for pre-employment screening. 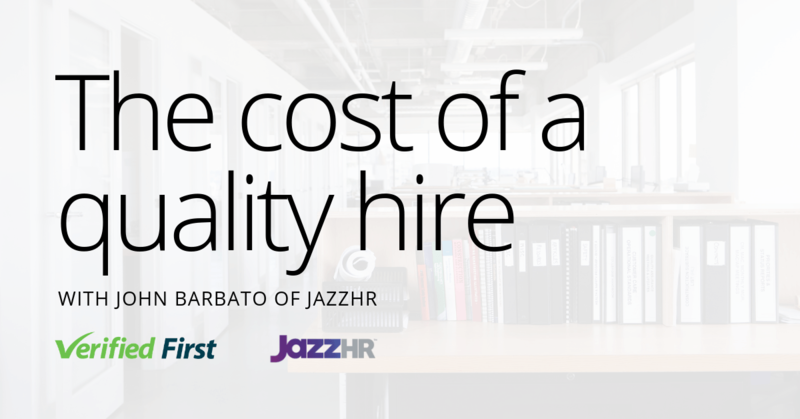 This feature not only provide greater convenience for the candidate, but also significantly improves time to hire. “I’m thrilled that the iTalent judges recognized the value of our platform. Our tech is revolutionizing the background screening industry in such a way that our clients do not even realize it is technology solving their pain points,” said Hart. HR Professionals who are eager to see these solutions may contact us to schedule a demonstration.